The WordWise Blog: Literary Agents: Just A Bunch of Crooks? I don’t know where it comes from, but it’s true: The publishing business seems to be the only profession on earth where so many untrained, unaccomplished amateurs claim to be experts. They’ve never published a book, never snared an agent, don’t really know how to work the system. Never negotiated a book contract or attended a writers' conference, and don’t know a split infinitive from a split pea. Yet they populate the online forums and chat rooms, preaching with supreme confidence and dogmatic certainty (with lousy spelling and grammar, I might add), dispensing advice to others. 1 – Never advertise. They are already known, and writers come to them. Indeed, yes, I know plenty of veteran agents who get hundreds of queries per week and don’t need to advertise. But the guys in this league sign only 2-3 new clients (if any) per year, almost always by referral. In the real world, despite their inexperience, the ones who actively market themselves probably have more knowledge and contacts than you do. They’re the ones looking to build a stable and are likely to sign you. 2 – Will never ask you to pay him. No doubt, you should avoid a rep who charges a reading fee. But most will nonetheless require you to reimburse them for expenses they incur on your behalf, such as postage for a manuscript. Is this evil? Well, just imagine that you have a friend who is down on his luck, and you let him crash on your couch for a few weeks until he gets a job. Fine. But then he starts eating your food and asking to borrow money. That was never a part of your deal. It’s the same with an agent: When you hire me, you’re essentially renting my knowledge and my Rolodex. If you ask me to spend my own money on you, then that changes the nature of our relationship. That wasn’t a part of our deal. 3 – Will never ask you to pay anyone else. Now, where did you get such an idea? Occasionally I might read a manuscript with a good story, but it needs help in the execution. So I suggest that the author seek out (and pay!) a freelance editor to help her smooth out the rough edges, and resubmit within three months. It’s a great way to score a second chance. Perhaps you’ve heard a legend about a benevolent agent who loves editing and has nothing else to do. But it’s definitely not normal. Or would you rather I reject your manuscript altogether? 4 – Will not have a sideline as a publisher or a freelance editor. And why not? Unlike most people, agents don’t get a weekly paycheck. They need to make a living in-between book deals. Advances are tiny these days, if you get one at all. (Which, incidentally, depends more on you than your agent.) For this reason, most agents have a second business: editing, publishing, consulting, a law practice, or something completely unrelated to publishing. Some openly advertise it, while others work strictly on referral. If that business combination makes you nervous, you can find someone else. But do you really want to limit your choices this way? 5 – Probably won’t be found at a writers’ conference. The logic here is that, because writers seek out conferences that offer opportunities to pitch their work, the organizers will probably accept any self-proclaimed “agent” into their faculty. But seeing as the reputation (and future business) of the conference depends on the quality of their speakers, no conference director has anything to gain by doing so. 6 – Will always have a website, blog, social media, and listings in the market guides. Now, this one is just plain silly. Many of the most successful and reputable agents out there have been in business for decades, and don’t need the help. Some are semi-retired, and only accept new clients by referral. Many are dropping their listings in the market guides altogether. Why should they offer false hope to new authors by inviting submissions they will never read? 7 – Must be a member of the Association of Authors’ Representatives. Actually, far less than half of the practicing agents in the U.S. ever bother to join AAR (just as most doctors never join the AMA), because it doesn’t do anything for their business. Yes, the group requires its members to follow a strict code of ethics. Which means that a member agent probably isn’t a crook (comforting to know), but it says nothing about their competence to sell your manuscript. 8 – Will naturally have a verified record of sales in Publisher’s Marketplace. Maybe, maybe not. Reporting book deals to PM is not the same as your employer reporting your weekly wages to the IRS. There is no automated process for this. Sometimes the agent reports it, sometimes the publisher does; but it’s never going to be at the top of anyone’s to-do list. As with websites and market guides, some agents opt out altogether because they don’t want to be found. A lack of a PM profile proves nothing, good or bad. 9 – Won’t “shotgun” your submission (send it off to too many publishers at once). Huh? You want your work to be seen by fewer publishers? I can’t speak for anyone else, but I won’t take on a new project unless I can immediately think of at least two dozen places to pitch it on Day One. 10 – Must serve as an apprentice under another agent, before going into business for himself. No doubt, this is a good training ground. 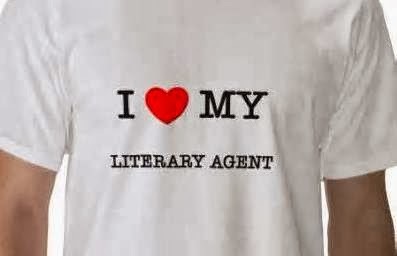 But most of the agents I know, came into the profession through other avenues: some worked as editors for publishing companies, while others earned their stripes as authors. Others, like myself, followed a more unconventional career path. But after I’ve made a couple dozen sales and my clients love me, does it really matter? 11 – Won’t represent themselves as specialists in repping only new authors. The rationale is that they give false hope to desperate inexperienced writers. But wait! Every new agent has to start somewhere, and they probably won’t land a household-name client at first. Hence the only clients they are likely to attract in the early going, are newbies. A partnership among rookies, could very well be a good match. 12 – Won’t submit your work to publishers who don’t require agented submissions. Sure, you might be able to catch an editor’s attention on your own, but then what? Legions of authors squander this opportunity because they don’t know what to do next. An agent’s job is more than just getting your work in front of editors. He can also help you polish your manuscript, teach you how to work the system, and negotiate a better deal. The list goes on: Beware the agent who solicits your business. Or sends off multiple submissions to a publisher in a single envelope (as if agents used envelopes). Or suggests you pay for marketing, or anything else that might advance your career. You’ll find just as many conspiracy theories about publishers, or freelances editors, or any other industry professional: Essentially, anyone who doesn’t give away the store to every author in every deal, is obviously either incompetent or greedy or corrupt. These aspiring authors refuse to accept the reality that writing books is not a job; it’s self-employment. That they are themselves the owner and bookkeeper and chief bottle washer of an enterprise that will live or die, struggle or thrive, on the strength of their own efforts. There's no labor union, no minimum wage, no paid holidays, no overtime, no forum of appeal for low pay or lousy medical benefits or unsafe working conditions. When I meet new writers, they want to know the secret to success in publishing. I tell them to take a class, find a mentor, attend conferences, buy a few reference books, join a writer's group, invite brutal critiques, and hire a professional editor. Then when they a have a decent manuscript to offer, start pitching agents and publishers according to their prescribed guidelines. Pay your dues, then pay it forward. THIS is the way to learn the business, to know who’s who, and who to trust, and to distinguish the vultures from the doves. But few people are satisfied with that answer. Instead they argue, I can’t afford it! I don’t have time! I shouldn’t have to! It’s not fair! They have no interest in learning the craft or the business, they just want to sell what they already have. But wait; what did they really expect from me? To wave a magic wand and sprinkle their manuscripts with pixie dust? Traditional publishing is dead, they insist; self-pub and e-books are the wave of the future. Gatekeepers are out; author empowerment is in. So they self-pub their unedited novel, slap on a lousy cover, and sell twelve copies. But rather than to learn from the experience and accept responsibility for their own bad choices, they wail to the highest heavens and angrily blame others for their failure. Agents, freelance editors, and publishers only want to make money off of their cherished progeny. How do I plead? GUILTY! Yes, believe it or not, we’re all in this business to make a living. Or did you really expect us to pay you and work for free?